There is no denying in the necessity of a chicken coop when it comes to backyard poultry homesteads. But modern advancements in animal husbandry has reached such a point that there are more than one poultry products fiercely contending for the top spot. As a result, it becomes increasingly difficult for the customer to choose one coop over the other. And if by chance you’re facing the same dilemma, then you have stumbled onto the right review. Today we’d like to talk about one of the best products when it comes to chicken coops. Formex has been around the chicken raising scene for a very long time now, and their SnapLock Chicken Coop is the latest addition to their recent lineup. Backed by history and scientific ingenuity, the Formex has something unique to offer everyone. Snap Lock Chicken Coop Review: Why is it so versatile? We believe that the versatility of any product depends on how well it caters to various customer needs, and this chicken coop does just that and more. 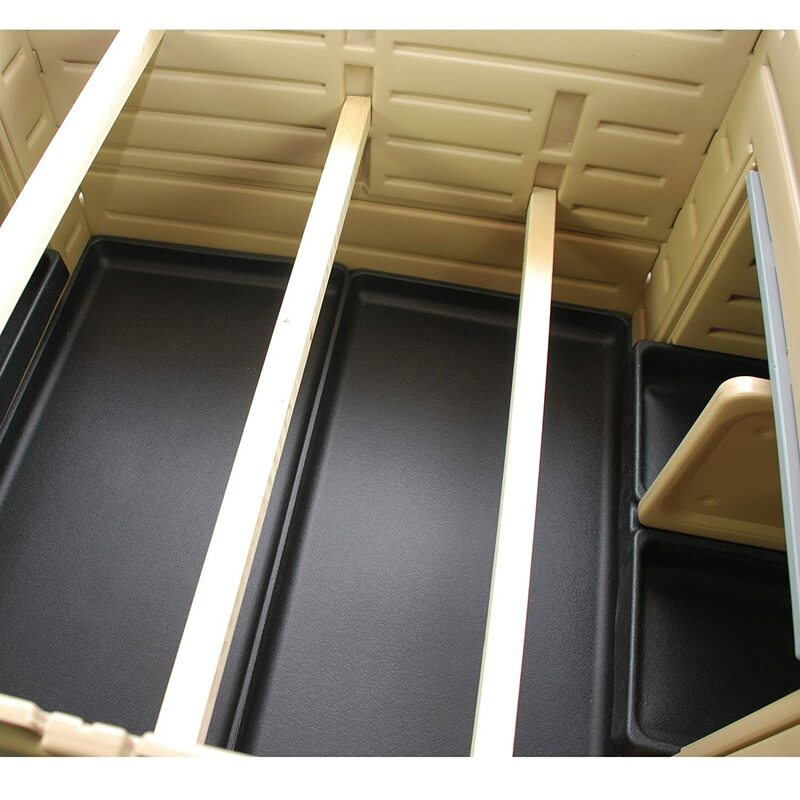 Since its establishment in 1961, Formex has worked with thermoformed plastic to produce a wide range of products that are not only easy to use but safe and durable as well. So, let’s take a look at the coop’s standout features. The plastic build used by Formex in their coop comes with its own set of advantages. The most significant of which is that it keeps the chicken coop hygienic as it makes the hen house reasonably easy to clean. Additionally, unlike wood, plastic doesn’t harbor bacteria. Sometimes you might find that even after cleaning a wooden coop some of the bacteria from chicken refuse remains, but with plastic, it is much easier to disinfect its surface when you do a bedding change. A wooden coop doesn’t allow such convenience for the homesteader. Another advantage that a plastic build has over wood is the ease of assembly. Yes, it is true that most coops do not require much know how to assemble, but they all need a screwdriver – generally a power drill with a screwdriver bit. But the Formex is made with the beginner in mind, and its Snap Lock system requires no tools to assemble. Though a screwdriver might be necessary from time to time to install the hardware, that’s a reasonably easy task to accomplish. The Formex SnapLock chicken coop comes in 2 different sizes, but we’re here to talk about the bigger one today. 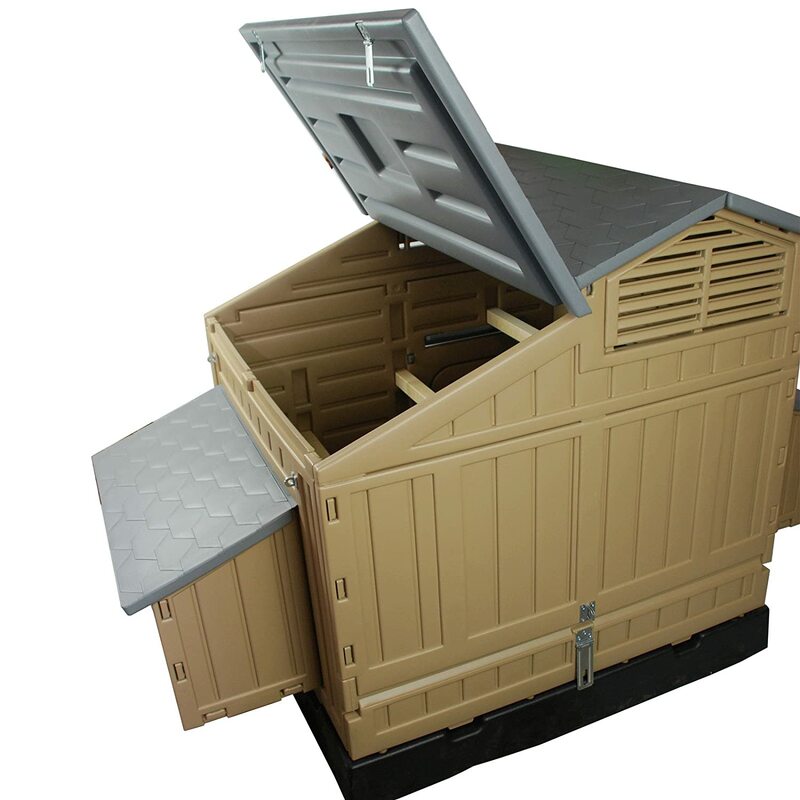 The large Formex chicken coop comes with 3 roosts, which we consider to be quite a lot for a coop at that price range. Additionally, it will even provide you with 4 nesting boxes, thereby allowing plenty of room for 4 to 6 chickens. This spacious nature solves a lot of the housing problems some coops generally tend to have and allow the chickens to mingle a bit without putting any chicken at risk. Even after having such an illustrious background in both plastic and rural application, there are particular nuances that you must consider before deciding on the Formex. As Formex is based out of Georgia, it is highly unlikely that they had to deal with the cold weather and the drastic shifts in temperature which the northern regions do. This is significant information to remember as all plastics tend to corrode when exposed to severe and extreme climates, which the northern regions are so prone to. Perhaps the biggest issue we had with the Formex was that it doesn’t come with a runner. It’s always preferable to allow your chickens to roam free whenever you can; this absence of the runner will mean that they will be stuck inside the coop till the time you let them out. And a lack of a runner and proper windows also indicate a lack of light getting through. As chickens are known to lay eggs based on light cycles, this can mean that they get much less productive during the colder months. 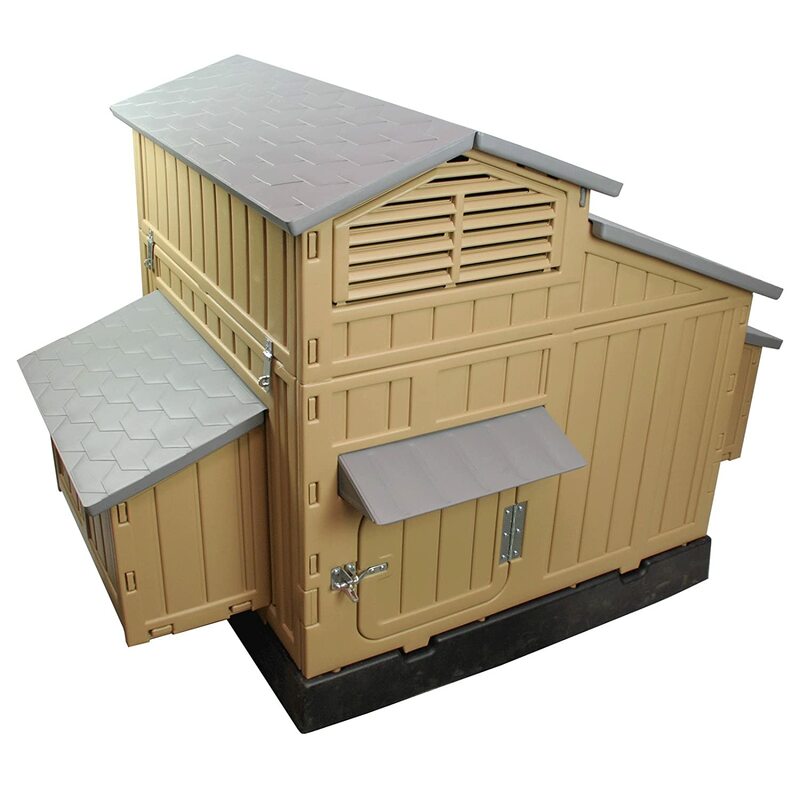 If you don’t live in the northern regions, then the SnapLock Formex Large Chicken Coop comes highly recommended from our side. Not only is it more affordable than the rest of its competitors but it is more hygienic for your birds as well. The product’s easy-to-assemble feature can put a smile on any chicken raising enthusiast. Hope we were able to bring you a helpful review today.